ODILO and The Peru Ministry of Culture Provide Free Countrywide Access to Digital Content. A cutting-edge initiative that promotes access to culture via digital medium and offers free digital content to 31 million Peruvians. Denver, CO, April 30, 2018 – The National Library and The Peru Ministry of Culture join forces with leading technology company ODILO and telecommunications provider Telefonica to provide countrywide free access to thousands of digital eBooks, audiobooks, magazines, videos, newspapers and more. Launched on April 23rd in celebration of the International Book Day, the National Library of Peru’s Application (BNP Digital) enables 31 Million Peruvians, to access the country’s first free Digital Library from their computers, tablets, mobile phones or e-Reader devices. The App’s digital library uses the most advanced digital lending technology offered by ODILO as part of Telefonica’s Open Future program that promotes open innovation, enterprise and transformation initiatives. 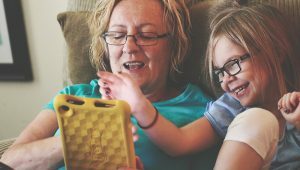 Telefonica, a global telecommunications leader, is providing data access to the platform at no cost, allowing Peruvians to enjoy more than 2,200 digital titles selected from a catalog of 1.4 million titles free of charge. Peruvians are enjoying a free and user-friendly digital content consumption experience without having to use a single byte of their mobile data plans. Since launch, the “BNP Digital” App has become the number one downloaded App in the Peruvian iOS and Google Play App Stores with a total of 43K downloads in one week (more than Whatsapp and Youtube). Through this project, the Peru Ministry of Culture expects to lessen the digital divide that exists between citizens by providing independent, free access regardless of geographical location, economic status or social status. This project will increase equality of access, remove barriers to participation in culture, resulting in significant savings to users in the costs of content acquisition, or travel to physical library locations. The Ministry of Culture will become the primary engine of social equity in the country, providing an example of social inclusion through technology integration. 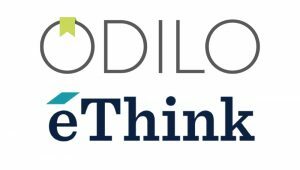 ODILO is a privately held Spanish and USA based company dedicated to developing the most innovative and creative digital content lending solutions. With millions of end-users worldwide, ODILO offers a comprehensive product suite for the discovery, management, and distribution of print and digital materials. 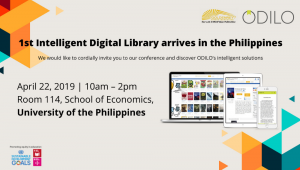 Currently used in 43 countries, ODILO defines and designs efficient, user-friendly solutions, serving the needs of public, private, university, school, and special interest libraries, along with corporations, travel and hospitality industries. 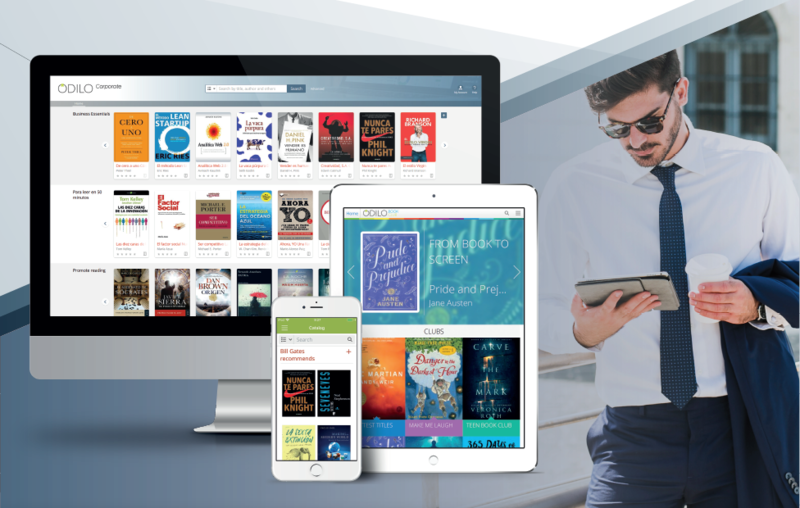 ODILO offers over one million titles of quality English, Spanish, and other foreign language eBooks, eAudiobooks, Videos, SCORMS, Newspapers and Magazines from over 4,000 publishers worldwide. In addition, ODILO’s platform includes the ability to upload local content (eBooks, music, video, documents, etc. ), enriching and engaging all types of end-users. ODILO is headquartered in Madrid, Spain, with offices in Cartagena, Spain; Denver, Colorado; Mexico City, Mexico; Bogota, Colombia, and New York, New York. For product demonstrations or sales questions, please contact sales@odilo.us or visit Odilo at www.odilo.us. To join Odilo’s family of publishing partners, please contact publishers@odilo.us. Telefónica Open Future is Telefonica´s global platform designed to connect entrepreneurs, startups, investors, public and private partners around the world to capture innovation and business opportunities. Its goal is to support talent at all stages of growth through a comprehensive model for acceleration that is designed to connect talent with organizations, investors, and companies. The program incorporates all of Telefónica Group’s open innovation, entrepreneurship and investment initiatives (Think Big, Talentum, Crowdworking, Wayra and Innovation Funds) through a global network that is open to participation by external partners that wish to develop entrepreneurial and investment strategies, and connect to large corporations. To date, more than 800 startups have been funded. Telefónica Open Future is present in 16 countries.